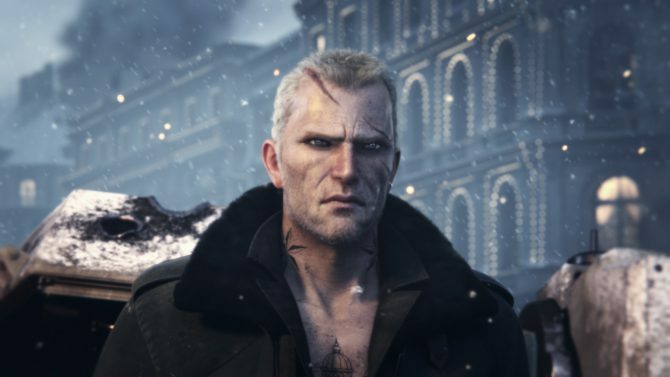 During Left Alive's development, Game Director Nabeshima and his team thoroughly visited Moscow and Saint Petersburg, sewers included. 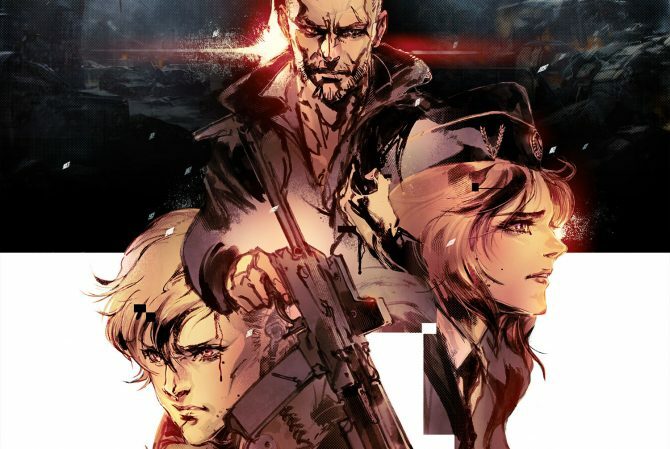 Left Alive was born from the wish of Nabeshima to make a Front Mission spinoff game with more emphasis on the characters and story, and where players would have a much bigger feeling of freedom than Front Mission‘s tactical RPG maps. Nabeshima’s policy when making games is to make it so the game reflects as much as possible what the player wants to do. He got this way of thinking by working at From Software as the director of multiple Armored Core games. Hence why Armored Core uses so many buttons, to include as many actions as possible. It makes the game’s controls complicated, but satisfying because you get to do what you want. This way of thinking also means avoiding elements that will make players think “well it’s a game so no wonder”, like invisible walls at the edge of a map, an automatic stop preventing players to go to an area where they’re sure to die, or roads and paths which you can see but are impossible to take. Like with most Japanese works featuring mecha, Front Mission always gave importance to its story and characters, but its overshadowed by the Wanzers and the incredible depth they have thanks to the customization system. Nabeshima wanted to do something different with Left Alive. 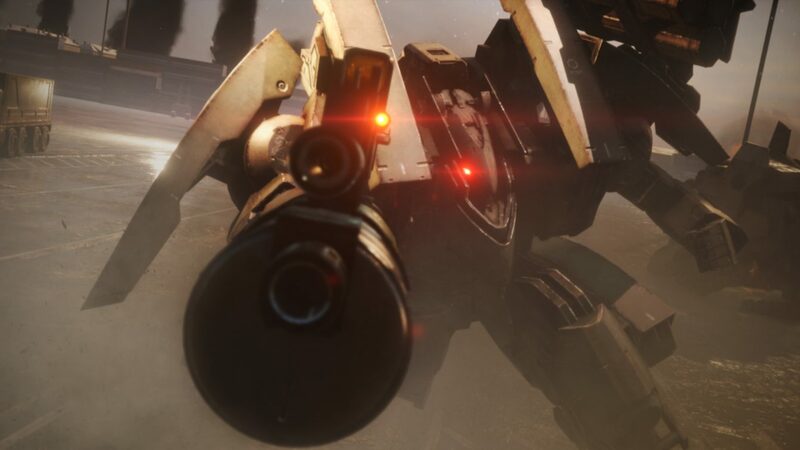 At the same time, it’s not like the development team was negligent with the new Wanzers in Left Alive, and mecha designer Takayuki Yanase spent countless hours redoing the designs until they’re perfect. 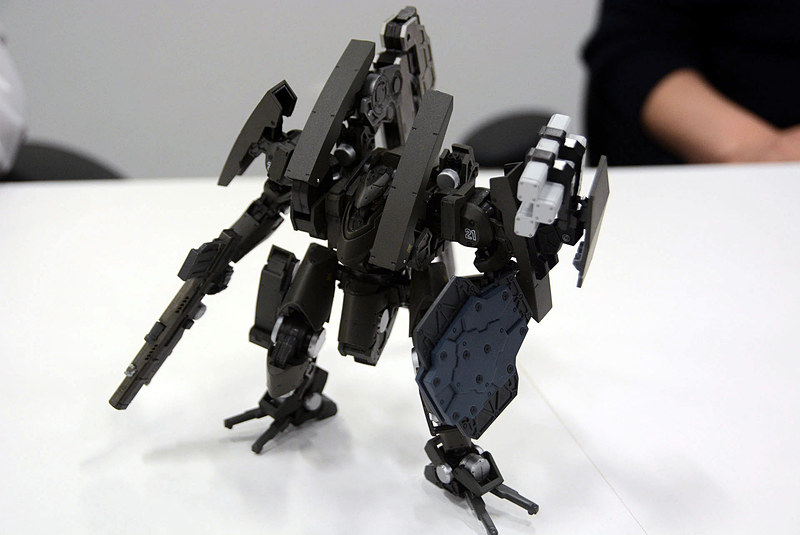 The figure of Left Alive‘s Volk Wanzer. Nabeshima’s directions to Yanase for the new Wanzer designs in Left Alive reflects how he worked on the Armored Core series. This is especially the case for the Volk, one of the Wanzers in Left Alive, whose figure is included in the game’s Ultimate Edition. Yanase struggled to design the Volk, because Nabeshima asked him to “make a mecha that doesn’t look like a Wanzer, but you can still immediately recognize it’s a Wanzer when seeing it”. It seems both Yanase and Left Alive’s character designer Yoji Shinkawa jokingly think Nabeshima is annoying to work with because of cryptic requests like these. You can damage enemy Wanzers on foot. Powerful weapons like a bazooka work, but even hitting them with a simple melee weapon like a metal bar can deal damage too. There’s a trophy for managing to destroy a Wanzer on foot with a metal bar. 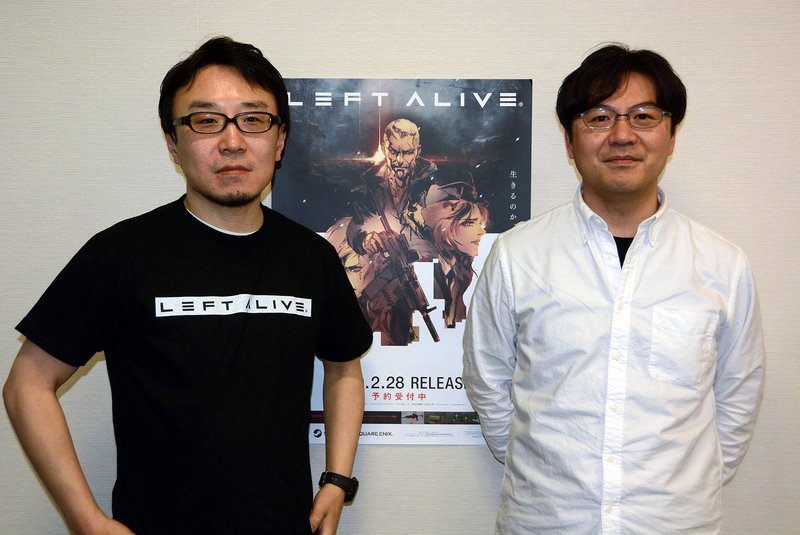 Left Alive‘s original concept was similar to a roguelike, hence why the game is described as “survival action”. Recklessly charging in or trying to kill everything in your path isn’t the right way to do things. In a roguelike, you only get what’s on your itinerary, only pick fights you’re sure to win, and proceed to the next floor or objective. That’s basically how Left Alive works as well. As we already know, Left Alive has a new game +, and each chapter’s result screen shows players what they managed to accomplish and what they failed to do. Some of the objectives are very difficult on purpose, and it’s best to wait until New Game + to try to complete them. Left Alive was developed with high replayability in mind, with different endings depending on your performance and the choices you picked. Certain choices’ consequences are only seen much later too. Nabeshima also said that there’s a “best ending” if you manage to accomplish everything, which also includes “a little bonus in it”. It’s a design choice that Left Alive doesn’t display enemies on its map and instead shows “danger zones”. This can be very frustrating in a game like Left Alive that focuses on stealth, hence why they included the temporary radar you can craft and use. And even then this doesn’t show you on the map which direction the enemies are facing. You’ll always know if you got spotted though as the BGM will start. 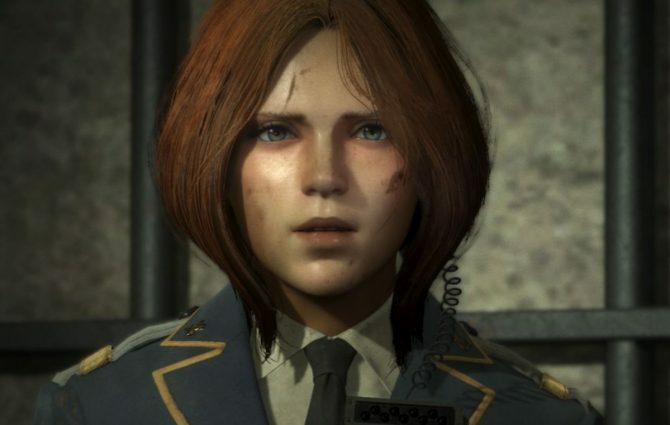 Left Alive‘s main theme is war, and the development team inspired themselves from multiple conflicts in history. At the same time, Nabeshima pointed out how Left Alive is supposed to be entertainment for players rather something like a war documentary, so it’s important to find the right balance between the two aspects. He said it’s important for developers to ask themselves if including certain cruel but realistic elements is necessary or not, and how to implement them properly if they do so. It’s crucial to make players realize the atrocities of war, but at the same time, they had to limit themselves, taking ethics into account, as what is acceptable to show or not varies from player to player. And there are also limitations with current technology, there are things you still can’t do properly in a game from a technical side. Game Director Toshifumi Nabeshima and Project Manager Koichiro Sakamoto. In order to develop Novo Slava, the fictional city of Left Alive, the game’s team also toured Saint Petersburg and Moscow with local guides. They visited Moscow’s sewers as well to help with making Novo Slava’s sewers and underground passages. Their guide in Moscow led them to a manhole in a park where they got down to the sewers. According to the guide, some of Moscow’s youth throw secret parties and hang out in the sewers, and some dangerous groups use it for illegal things too. Nabeshima and his team actually found places with tables and sofas in the sewers too. Novo Slava is a town near the black sea in Russia. Nabeshima and Sakamoto had to go over everything that was established in Front Mission games to be sure they don’t end up creating discrepancies in Left Alive. While the game can be played without knowing Front Mission, it has many links and references to it, including the massive archive explaining the world of Front Mission. The main reason why Left Alive has three protagonists is the narration, as they don’t have any difference with how they play. The main mystery of the game is why did Garmoniya invade Novo Slava. There’s a single truth behind that, but three points of views are required to understand it completly. Each protagonist also has some kind of key element linked to their stories. For example in Olga’s case, it’s Yulia, the little girl she meets at the start of her story. Front Mission is about mysterious weapons, political conspiracies by countries or organizations, experienced from the viewpoint of simple soldiers. These kind of story elements are present in Left Alive too, which is the truth linking the events the three protagonists are living. Nabeshima’s favorite character is Mikhail, because of how he develops. Rather than some idealistic reason like wanting to protect his country, Mikhail joined the army because he thought Wanzers are cool and he always wanted to pilot one. He’s a really naive guy, almost stupid at times, and the way he climbs to the top starting there is really nice. When the city is invaded, Mikhail doesn’t even care about Wanzers or stuff like that anymore and he just wants to escape and survive. According to Nabeshima, It’s that kind of raw human nature being brought forth that gives charm to Left Alive‘s story. Left Alive launches on February 28 on PS4 in Japan, and on PS4 and PC on March 5 in the west. You can pre-order the game via Amazon. In a past interview, Director Nabeshima shared with us that Square Enix may consider bringing the game to other platforms after its initial launch.